Post edited, 9/24/2012: See below! Earlier I discussed the origin of modern levels of IQ and the origin of modern ideologies. I noted that both of these things have roots in the societal conditions during the Middle Ages. But what, exactly, about this period led to the evolution of these traits? In this multi-part series, I’m going to look at the evolutionary forces that may have been involved more closely. In this part, I’m going to look at the evolution of modern levels of IQ in Europe. In part II, I’m going to take a look at how conditions in this time helped to forge modern ideologies. In part III, I’m going to look at both of these things in East and Southeast Asia. In the case of IQ in Europe, I propose that a complex interaction between late marriage, the level of outbreeding, farming vs pastoralism, and climate during the Middle Ages gave us modern European intelligence. The Middle Ages was an important time for the evolution of many traits that would eventually lead to modern society—not the least of these being IQ. But how did this happen? An important factor was examined by historian Gregory Clark. In his book, A Farewell to Alms: A Brief Economic History of the World, he discovered that the well-to-do of this time had an enormous survival advantage compared to their poorer peers. By examining wills from pre-industrial England, he found that the wealthy had far more surviving children than the poor. Similar patterns have been seen in continental Europe and probably also occurred in East Asia. I suspect that was this case for most of the civilized world in the northern latitudes. This created a selective pressure that favored evolution of “bourgeois” traits in the population, as “people gradually developed the strange new behaviors required to make a modern economy work. The middle-class values of nonviolence, literacy, long working hours and a willingness to save emerged.” It is this process that likely raised IQs of First World peoples to their present levels (and perhaps even higher). Researchers such as Richard Lynn and J.P. Rushton have postulated that prehistoric selective forces, such as environmental conditions encountered by humans during the Ice Ages, boosted the average IQs of northern peoples. However, while evolution during this time probably did select for increased intelligence, it probably didn’t bring IQ quite to modern levels. We can see this by looking at the Inuit. The Inuit—who lived without being subjected to the selective pressures of civilization until very recently—have only developed an average IQ of 91. Pre-state Europeans and Asians probably only had average IQs in this range. But there is another problem with the prehistoric selection theory: modern Europeans are, for the most part, not descended from the hunter-gathers that lived on the continent during the Ice Ages; rather, they are descended from Neolithic farmers coming out of the Middle East (supplanted to various degrees by farmers/herders coming out of the Caucasus and points north—a group which includes the Indo-Europeans). Hence, any traits that were crafted during the Ice Age in Europe would have been mostly lost in modern Europeans. This indicates that it is recent evolution—selection since the advent of agriculture—that gave us many of the traits of modern First World peoples. Indeed, this is the central point of physicist/geneticist Greg Cochran’s and anthropologist Henry Harpending’s book, The 10,000 Year Explosion: How Civilization Accelerated Human Evolution. It was the selective forces during this time that gave us modern civilized people. Imagine that a population of farmers is doing well: They have plenty to eat. It’s easy for them to raise more than two children per family—they do so, and the population increases. It continues to increase as long as conditions remain the same. More people need more food, but then there are more workers producing food. As long as per capita production stays the same, the standard of living does not change, even as population increases. However, eventually this expanding population runs out of land, and farmers in the next generation have to farm smaller plots. They may be able to keep per capita production the same by working harder, but in the next generation plots become even smaller. If the methods of food production remain the same, eventually per capita production must decrease as population increases and per capita resources decrease. That decrease will continue until the average farmer produces just enough food to raise two children, at which point population growth stops. Suppose that farming methods improve, so that productivity per acre goes up by a factor of ten. The population begins to grow—let’s say fairly slowly, with each family managing to raise 2.5 children (on average) to adulthood. The population is growing 25 percent per generation. In ten generations—about 250 years—the population has caught up with those improved methods. Living standards are low again, and population growth stops. But 2.5 children per family is by no means an especially high rate of population growth: In colonial America, the average family raised more than 7 children to adulthood. At that rate, population growth could catch up with a tenfold increase in productivity in just two generations. The point is that even moderate rates of population growth can rapidly catch up with all plausible improvements in food production. Thus, populations should spend most of the time near a Malthusian limit, and there should be no lasting improvement in the standard of living. In many parts of the Old World, particularly among farmers living under strong states, famine and malnutrition were the main factors limiting population. With internal peace, population rapidly bumped up against carrying capacity. In those societies, people living on the bottom rungs of society were regularly short on food, so much so that they often couldn’t raise enough children to take their place. However, elites must have had above-replacement fertility, and their less successful offspring would have replaced the missing farmers. Gregory Clark, in A Farewell to Alms, shows that in medieval England the richest members of society had approximately twice the number of surviving offspring as the poorest. The bottom of society did not reproduce itself, with the result that, after a millennium or so, nearly everyone was descended from the wealthy classes. There is reason to think that this happened in many places (eastern Asia and much of western Europe, for example), but wealth was not acquired in the same way everywhere, so selection favored different traits in different societies. These “different traits in different societies” are key to understanding the origins of today’s ideologies, which I’ll discuss in my next post. Likely the above process was most brutally efficient in the cold northern climates, where farming was very difficult. Each year, all the necessary activities, from sow to harvest, had to be completed before the long, cold, and dark winter set in. As well, enough food needed to stockpiled to last until the harvest of the next crop. Only the hardest working and most resourceful survived. One thing that we notice is that all peoples behind the Hajnal line have average IQs around 100, while the peoples on the periphery have average IQs that are much more variable. This brings me to the first set of factors important to the evolution of high IQ: the effect of late marriage and outbreeding. Marriage was delayed in Western Europe due to two factors: the Church’s ban on cousin marriage and the manor system. The ban on cousin marriage removed the guarantee of having a mate. In a clannish/tribal society, the less able members can live off of the more able members of their clan/tribe, and can look forward to marrying a cousin, as HBD Chick describes in great detail as it occurs in the Muslim world. Clans were essentially the original welfare system, where the clan served as a welfare state open to family members only. However, in the manor system under the church’s ban on cousin marriage, an individual had to “prove him/herself” to a degree. Peasants had to obtain permission both to marry and to obtain a tract of land to farm from their lord. Presumably the lords would have selected their best/most skilled (and most docile and compliant) laborers to award with plots of land to farm. This would have selected for individuals who would have delayed marriage until they could establish themselves economically. This type of behavior would have carried over as the manors evolved into independent farms. A key product of this arrangement was that the within-clan welfare state was shut down. Individuals were on their own, and the less able would have fell by the wayside (or at the very least would have had far fewer surviving offspring). Since some variant of this system was in place all over Western Europe, average IQs would have risen accordingly. The outliers of this system, northwestern Britain, southern Iberia, and southern Italy, were exempt from this tight selection pressure in one form or another to a degree. In all these areas, inbreeding and clan-based living persisted. Within-clan welfare would have kept the dullards going in these places. A look at the Celtic fringe brings me to my next important factor: the type of agriculture practiced. In this case, it is the difference between a primarily farming based subsistence and a pastoral one. Presumably, the rough terrain of Scotland (among other things) helped to limit the spread of the manor there. As well, a herding lifestyle favors inbreeding as to not breakup the herds too much, as we see with the Muslim world. 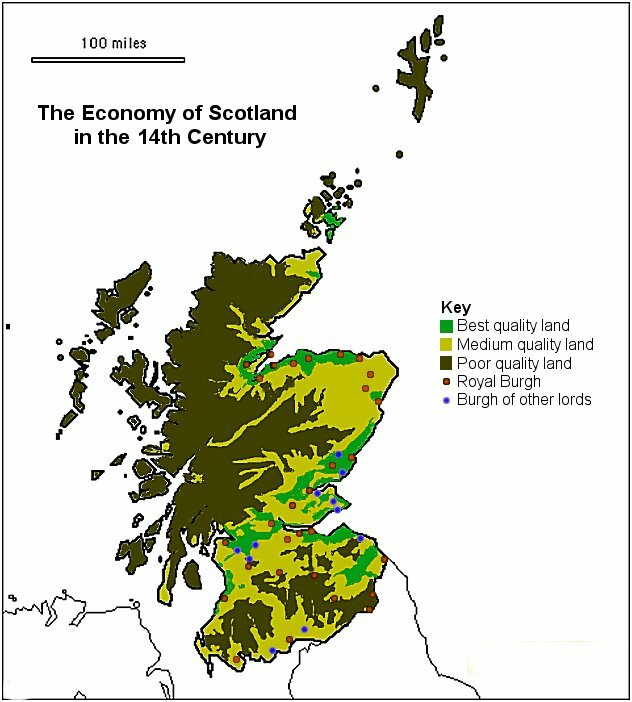 Throughout Scotland, farmland had been historically poor, especially in the highland areas of the northwest. Pastoralism was the dominant way to make a living. Many of the communities throughout the country remained geographically isolated from one another, thanks to the rough terrain. These communities lived in an economically self-sufficient manner, without much trade between them or the outside world. It’s little wonder that inbreeding persisted for quite some time here, long after it declined in England. 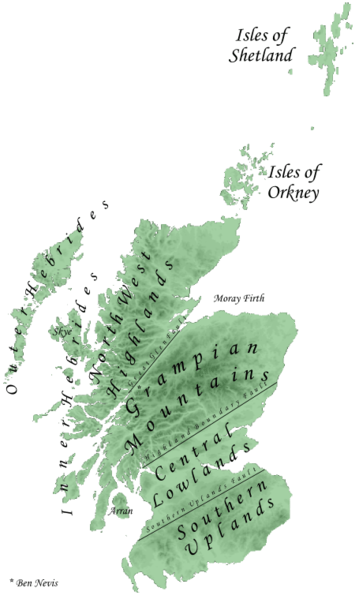 While the average IQ of Scotland today is pegged at 97, this may have something to do with the fact that much of the Scottish Highlands were forcibly depopulated, with many of its former residents ending up in North America and Australia. However, in Ireland, a similar situation persisted. Throughout the Middle Ages, its inhabitants relied on herding rather than farming, and inbreeding was prevalent. Hence, today its average IQ is only 92. As well, interestingly, and perhaps related to its historically high levels of inbreeding, schizophrenia (a heritable mental disorder) appears to be endemic in Ireland. These places exemplify that even in a cold northern climate, agricultural lifestyles do make a difference. Presumably, the cognitive demands of a pastoral life are less than those of a farming one. The clan system “welfare” system would have also helped the dim-witted along, as described. Further, the violent nature of clan life (the clans frequently clashed with each other) would have selected for more aggressive (and not necessarily brighter) individuals, particularly without strong state authorities culling these individuals. Tribal tough guys would have remained a significant fraction of the population, and this may have prevented the average IQ from rising too high. As well, without a manorial lord to report to, breeding in these places would have been more “wild,” in contrast to the “domesticated” (i.e., semi-controlled) breeding of the peasantry of England and continental Europe. The population would have also resisted the genetic incursion of upper-class blood, with varying degrees of success. Southern Spain (and presumably, Portugal) is by comparison more straightforward. Muslim invaders conquered much of the peninsula in the 8th century and would have conquered the rest of the continent if there wasn’t a concerted effort by the European armies to stop them. The Muslims remained in control of the southern part of the peninsula, being slowly pushed back—and eventually expelled—by Christian forces. During this time, Muslim-style cousin marriage was prevalent. As we see, inbreeding and agricultural systems apparently play big roles in the evolution of IQ. However, if we look to the east of the Hajnal line, they’re clearly far from the whole story. Peasants in these communities became reliant upon each other in times of need. With the Russian climate being so harsh and unpredictable, it wasn’t uncommon for peasants to suddenly lose all of their crops or livestock. In times of famine, one farmer might lose everything and his adjacent neighbor could lose nothing at all; because of this, the villagers set up a system in which they would support one another in times of need. This system however also set up a sense of “ceiling and floor” within the obshchina. Members of the obshchina who were prospering the most would usually be the ones looked upon to help others in their times of need; creating a form of “ceiling”. When other families were experience rough times, others in the village were forced to step in and help; creating a sense of “floor”, and preventing any one family from falling under in the community. This system was born out of necessity—for not the least reason to ensure a healthy tax base for the nobles. The Russians and other Slavs evolved to dependent on this system, something I will discuss in greater detail when I delve into my post on ideology. In addition to marriage being early, as it was in most parts of the world (girls married at an average age of 19, with the legal minimum age at times being as young as 13), cousin marriage, especially of the mother’s-brother’s-daughter type, was much more common in Eastern Europe than in the West. Life in the zadruga was a very top-down enterprise, with the senior patriarch overseeing the lives of several generations beneath him (which seems to describe many modern-day aspects of Slavic society). However, unlike in Western Europe, inbreeding appears to have been a fact of life all over Eastern Europe. Yet, the northern parts have average IQs similar to their Western counterparts. The southern areas of Eastern Europe are more in line with what you’d expect for an inbred society. Why the distinction? It is here that I argue that climate (and, to a lesser extent, geography) made the difference. In inbred Eastern Europe, much like the rest of the world, the forces of climate were more important in governing the selection of IQ. The left is a map of the average minimum winter temperatures across Europe; the right is a map of average annual precipitation. While Europe has experienced several climatic swings throughout the Middle Ages, a general pattern can be seen here. While Eastern Europe is in general colder and drier than Western Europe, the Northeast is much colder than the Southeast, leading to the infamously brutal Russian winters. Throughout this entire area, communal dwellings were the rule, and inbreeding occurred at fairly significant levels. Early marriage did not present the same selective forces on Easterners as late marriage presented to individuals in the West; Easterners would have had to “prove” themselves less than individuals did in Western Europe. Communal/clan living would have increased the odds of the less able individuals surviving. However, I would posit that conditions in the colder areas of Russia and Poland were so harsh that communities that accumulated too many poor producers—especially with their communal sharing system—were doomed. Whole households probably fell by the wayside in particularly harsh winters (or perhaps dispersed into surrounding communes). Wealthier families, presumably including the princes, nobles, and tsars themselves, would have enjoyed a greater survival advantage. The period of serfdom in Russia might have also helped to select for intelligent individuals just as it did in the West. The Ashkenazi Jews are also an example of this process. While the Jews inbred (also here), at a rate that appears to be higher than the surrounding populations, particularly in the West, the intense selection they faced thanks to their specialization in cognitively demanding “white collar” occupations would have nonetheless selected for intelligence. With the South Slavs, and by extension the Greeks, the situation may have been a bit different. The climate wasn’t anywhere near as harsh as in Russia, allowing for much more success, on average. This would have included the less intelligent/able individuals. The zadruga would have acted as a within-family welfare state of the kind seen in most tribal/clannish societies. 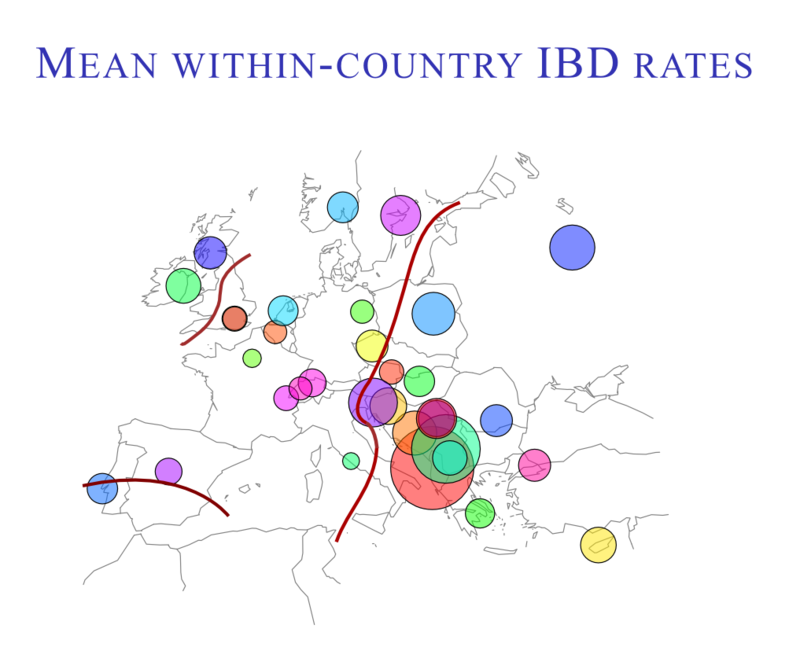 As such, the selective pressure on IQ would have been much weaker than its counterparts in Western Europe of roughly the same latitude (in this case, Northern Italy and Southern France/Northern Spain, where landlords would have been selecting for competent workers and marriage depended on economic viability). The preference for early marriage would have aided this process by relieving individuals from having to prove their mettle as they would in the West. Southeastern Europe, particularly in the former Yugoslavia and Greece, is highly mountainous. As we saw with other parts of the world, rough terrain disconnects people and separates them into isolated pockets, which discourages travel and necessarily leads to inbreeding. As with mountain dwellers elsewhere (or people who live in areas interspaced by mountains), these people are necessarily clannish/tribal, as we saw to deadly effect during the Yugoslav wars of the 1990s and with the current economic crisis in Greece. In contrast, the areas of Russia and Northeastern Europe were flatter, which may have encouraged a greater flow of people between communities. The East and West Slavs are probably somewhat less inbred than the South Slavs because of this. 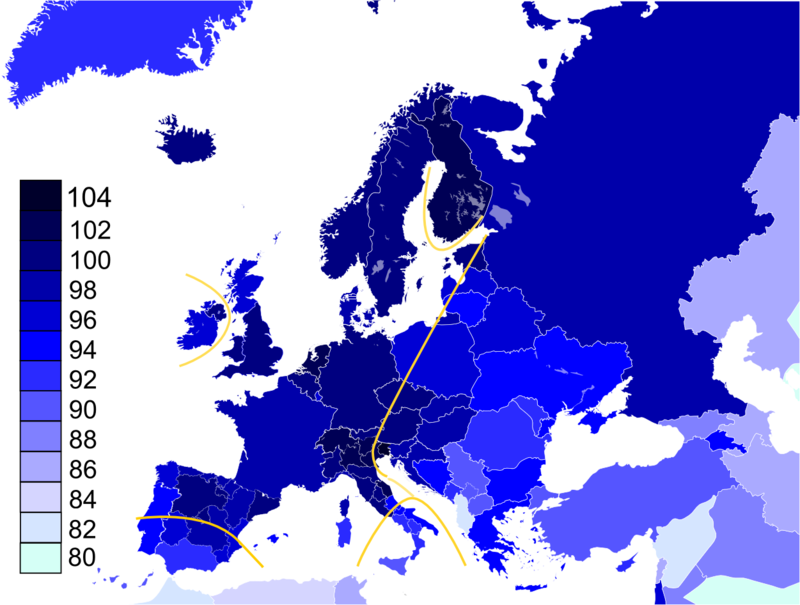 Since there appears to be an “optimal” level of inbreeding, that is between 3rd and 4th cousins, perhaps this may be another factor involved in the IQ differences between the two regions (1st and 2nd cousin marriage may have been more prevalent with the South Slavs, whereas perhaps it was between more distant cousins points north). To racap, a complex interaction of the levels of outbreeding, farming vs pastoralism, and climate gave us modern European intelligence. In the West, outbreeding left individuals to fend to themselves more often, favoring competent, self-reliant individuals. In the areas of the West where inbreeding persisted, the selective pressure on intelligence were more relaxed because individuals were able to depend on their clans to survive and reproduce, often relying on a herding lifestyle which presented weaker cognitive demands and favored aggression. In the East, communal living and inbreeding were common all over, so that climate played the larger role in selecting for IQ. In Russia and there abouts, the harsh climate may have selected for greater intelligence despite the inbreeding. In the south, less inhospitable climate may have may made prospects better for the less able. I hope that with the factors I’ve examined (climate/geography, agricultural systems, level of inbreeding/outbreeding), I will have made some inroads in unraveling the mysteries behind the evolution of modern IQ levels. The distribution of IQ in Europe comes with the usual statements about Europe’s economic future, which remains an ongoing drama that is keeping us all at the edge of our seats. In part III, I will look at Asia and note that this same framework works just about as well in explaining average IQs there. In the following part, however, I will take a look at how these systems have impacted the prevailing ideologies of Europeans today. There are some uncertain areas. 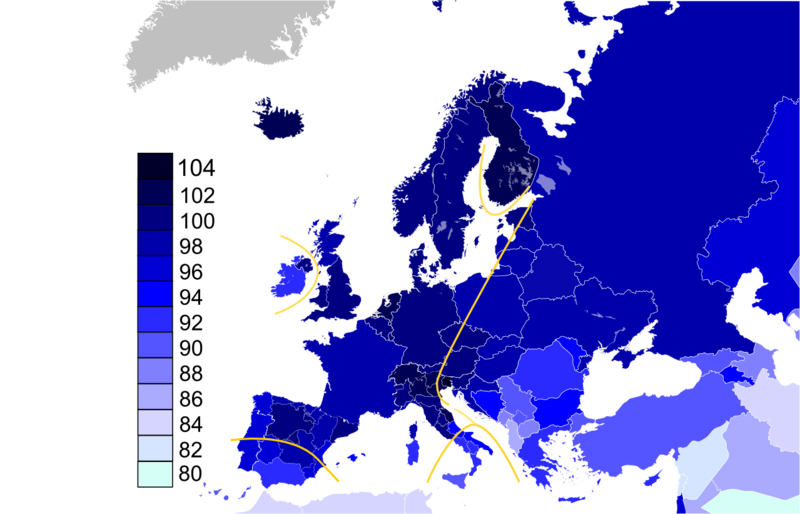 Those include the British Isles, which seem to have a complex history regarding inbreeding/outbreeding; Finland, which is traditionally placed outside the Hajnal line but has some historical and cultural traits that are more closely aligned with the West; and the eastern region border region between Germany and the West Slavs; the latter of which have some traits in common with Westerners. Edit: HBD Chick has also noted some uncertainties with the exact boundaries on the Iberian Penninsula. More on this in part II. An interesting area in this whole analysis is the Alpine region. As we’ve seen, this area seems to have a higher average IQ. This area is snowy, rough, and cold. But despite being a mountainous area, they might not have gone the route of the other mountainous areas because the people there went to literally great lengths to outbreed. With outbreeding strong, clannish societies and their kin-based welfare systems could never develop. The harsh conditions of the mountains then presented a greater selective pressure for IQ. Edit: Also see Peter Frost’s discussion over at Evo and Proud. Anyway, I will repeat it, though in shorter form now: it seems that everything you write points to the fact, that currently we have two widely differeny groups amongst whites, with highly different environmental pressures. One group is middle and higher class, where half of people is not married and will have zero or 1 children. In this group, male has to be VERY succesful and has to a lot of income just to get married, and even more succesful and even more of income to got above bare minimum of 2 children. OTOH, in the second group, there is no pressure at all due to welfare system. It means, assuming no mixing between upper and lower classes, two highly divergent groups willbe created within just few generations. Do I make any sense? I’m really sorry about that. Normally hitting the back button restores what you have, but I’m not sure how it works on Linux. Anyway, I will repeat it, though in shorter form now: it seems that everything you write points to the fact, that currently we have two widely differeny groups amongst whites, with highly different environmental pressures. Half-Sigma talks about that. He even has a chart. One group is middle and higher class, where half of people is not married and will have zero or 1 children. In this group, male has to be VERY succesful and has to a lot of income just to get married, and even more succesful and even more of income to got above bare minimum of 2 children. In America anyway, most of people in this group are married, at least by age 30-35 (see here). A significant percentage however have one child or none. It means, assuming no mixing between upper and lower classes, two highly divergent groups willbe created within just few generations. Do I make any sense? As for the separation, that was the crux of Charles Murray’s Coming Apart. Meritocracy+assortative mating inevitably leads to this separation. Before you turn to East Asia you might have a look at The Pattern of the Chinese Past by Mark Elvin. It is a lucid description of the ever changing yet often repeating patterns of relations between rich and poor, state and local elites, and above all on the changing status of the peasant populations: at various times and places and in differing proportions they were chattel slaves, serfs bound to the soil, yeoman farmers, share croppers, indentured servants, day laborers, migrants, runaways, rebels, soldiers, etc.) through the last 2500 years. Sounds daunting but as I say he is a lucid writer and the quotations from the Chinese historical records are quite revealing. They (local officials) were really into the history of such matters in reports to the Emperor. Nice article! 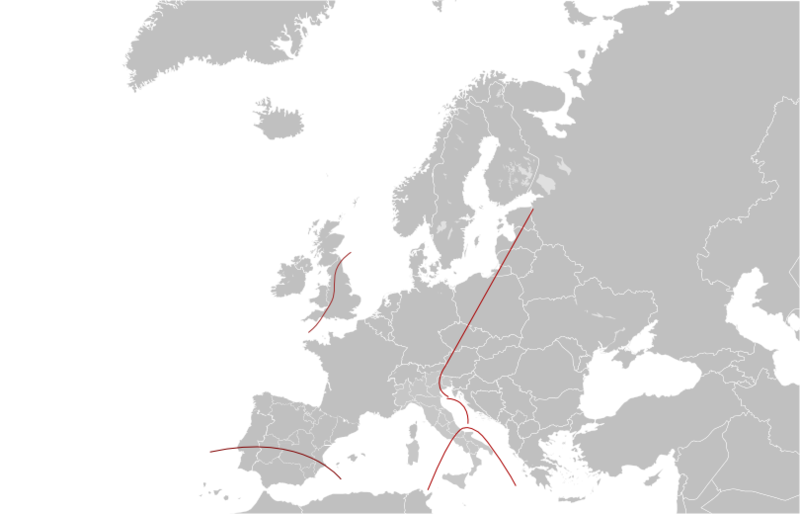 I’d never heard of the Hajnal line. One possibly crucial factor you may not be aware of is the Black Death – it struck hardest those areas of Europe with the highest modern average IQs, and was timed shortly before the Renaissance. Your model offers some interesting competition to that one. Hofstede, Geert (2001). Culture’s Consequences: Comparing Values, Behaviors, Institutions and Organizations Across Nations. Sage Publications. McCrae, R.R. ; Terracciano, A. (2005). “Personality Profiles of Cultures: Aggregate Personality Traits.” Journal of Personality and Social Psychology, 89, 3, 407-25. Schmitt, David P., et al., 2007. “The Geographic Distribution of Big Five Personality Traits: Patterns and Profiles of Human Self-Description Across 56 Nations.” Journal of Cross-Cultural Psychology, 38, 2, 173–212. I suspect that having concepts like “late breeding” and “clannishness” dimensionalized will make it easier for you to generate new ideas along these lines. And you might be able to draw some interesting conclusions from seeing how personality dimensions differ across nations. In his book, A Farewell to Alms: A Brief Economic History of the World, he discovered that the well-to-do of this time had an enormous survival advantage compared to their poorer peers. I’ve read part of this book and the theory is interesting. But if the Malthusian trap was working then, it seems to have partly stopped working today–in fact government-sponsored dysgenic breeding is in full swing in many Western lands. While modern medicine is hugely regressing our physical robustness (the weaker 50% of mankind never made it out of childhood; now they make it out and reproduce), are our dysgenic breeding policies regressing us IQ-wise? Are Western countries getting stupider (apart from immigration)? Has anyone attempted to measure this? Further, the violent nature of clan life (the clans frequently clashed with each other) would have selected for more aggressive (and not necessarily brighter) individuals. I think this is true, and your point about herding vs. farming is an excellent one that’s too often overlooked. As well as the different kinds of pastoralism–Transhumance herding up in the lush Alps, where you only had to move the herds twice a year, must select for different traits than nomadic herding in harsh climates such as the Arabian peninsula. Don’t know if you’ve seen it, but The Structure of Parallel Cousin Marriage by Murphy and Kasdan is a good resource on this, as is ‘Camel pastoralism in North Arabia’ by Louise Sweet, which I can’t find online anymore but I have a copy in PDF. As with mountain dwellers elsewhere (or people who live in areas interspaced by mountains), these people are necessarily clannish/tribal. Mountain people are a fascinating phenomenon, and I really wonder how a long history of living in isolated mountain valleys rather than in the plains can affect selection of character traits. I’d like to learn more about this if you know of any studies. Another really interesting post, you have a knack for creating a synthetic view of things from many seemingly disparate parts. Right up my alley. Are Western countries getting stupider (apart from immigration)? Has anyone attempted to measure this? There was a post on Mangan’s that tackled this (I’m not sure what’s going on with his blog, though). I think this is true, and your point about herding vs. farming is an excellent one that’s too often overlooked. As well as the different kinds of pastoralism–Transhumance herding up in the lush Alps, where you only had to move the herds twice a year, must select for different traits than nomadic herding in harsh climates such as the Arabian peninsula. Yes, there seems to be some interesting characteristics of Alpine herding. 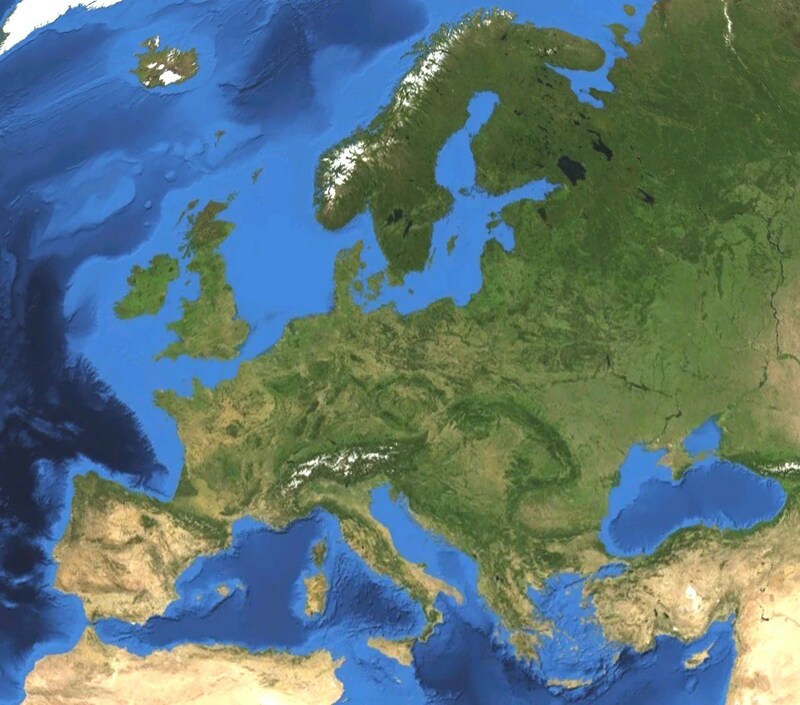 The fact that the Alps lay between the center of the Catholic Church and the rest Europe probably prevented it from becoming isolated like the other pastoral pockets of Europe. The Church seems to have gotten a strong grip on the Alps early, and this may be why, as I say, the people there went to literally great lengths to outbreed. Mountain people are a fascinating phenomenon, and I really wonder how a long history of living in isolated mountain valleys rather than in the plains can affect selection of character traits. That’s a very good question. Maybe as I sift through HBD Chick’s stuff I might get an answer. I think the different behaviors of the European populations took on order of 1,000 years to get established, from the looks of it.